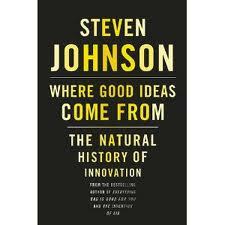 Made a very long overdue start today on one of the many books in my 'must read' pile, 'Where Good Ideas Come From' by Steven Johnson. Really enjoying it and thought this little video was a good introduction to what I think are very powerful insights. I love the way he elevates the role of the slowly incubating hunch over the eureka moment. Johnson concludes with the observation that 'chance favours the connected mind' and in my. I'm on my way to Inverness to speak to Highlands and Islands Enterprise STEM strategy group about how Glow might be used to support the teaching of science in some of Scotland's most remote areas. To my mind this is exactly the kind of need that Glow was designed to (help to) meet. Glow is not just about making lesson content available online it can also facilitate remote teaching and enable the kind of wrap around personal support that will help our young people to succeed wherever they happen to live. Anyway more of this later. I don't do a lot.